“Can social service agencies…shift from a focus on isolated needs—safety, housing, health, or employment—in favor of a broad view that supports human well-being?” This is a central question that David Bornstein in the New York Times poses in an article that profiles a nonprofit called the Full Frame Initiative. The group works with social service agencies to help them push against bureaucratic boundaries and cooperate with each other to achieve better outcomes for the people they serve. The nonprofit, Bornstein explains, currently works in the states of Missouri and Massachusetts and employs a five-part framework that focuses on getting public agencies to address core issues of safety, mastery, stability, social connectedness, and meaningful access to relevant resources in their social service programs. Of course, Full Frame hardly invented the idea of focusing on overall well-being. 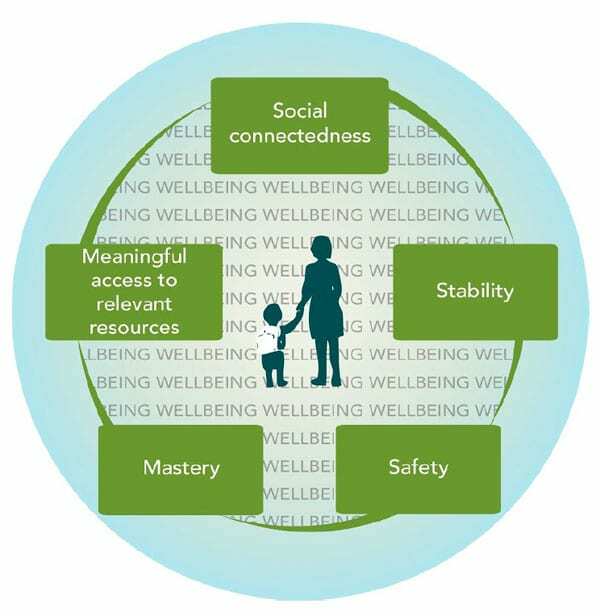 As Bornstein noted in the Times earlier this month, the well-being framework employed by the Full Frame Initiative is one that has been used around the globe, including in such countries as Bhutan, Great Britain, and New Zealand. We can find this philosophy embedded in many places. It is core to the capability approach of Nobel laureate Amartya Sen and others, as well as the asset-based community development work of John McKnight and Jody Kretzmann. In NPQ, we have profiled many examples, including the Community Heart & Soul program of the Orton Family Foundation, community-based planning in Philadelphia, the rise of “housing first” to address homelessness, and trauma-informed public schools. But getting agencies to prioritize overall well-being can still be challenging. After all, budgets may restrict expenditures to very specific purposes. Bureaucratic “silos”—though regularly derided—remain the norm. And it is here where Full Frame seeks to make its small, yet important, intervention. Full Frame Initiative is a modest-sized nonprofit. In 2016, it reported $1.7 million in revenues on its federal Form 990 filing. Its work aims to get agencies that work with children to think about the whole child in their work. As Ben Burkemper, family court administrator for St. Louis County, explains, the approach “addresses the whole person, not just the offense that the juvenile committed.” Burkemper explains that the key to the approach “is not to force unsustainable trade-offs.” He gives an example of a young offender who the court orders to attend group counseling two evenings a week, not knowing that the boy’s mother, a single parent, to keep her job, needs her son to care for his younger brother those evenings. Rather than force teenagers into these types of untenable situations, the county now seeks to avoid such problems by working with partner agencies. In this case, that would mean finding daytime counseling, so the boy can still care for his younger brother at night. “We’re seeing more clearly how hard it can be for families to comply with court-ordered conditions, not because they are unmotivated or resistant but because of poverty, safety, and other considerations,” Michelle Frank, who works in the St. Louis County Family Court, explains. Another key difference is to focus on strengths in assessment, which basically involves incorporating an asset-based approach into the intake portion of the work. Frank explains that this involves beginning interviews with questions like, “What are you proud of about your child?” rather than jumping to problems. In Massachusetts, the Full Frame Initiative has been working for eight years with five state agencies. Now, these agencies are piloting an approach to support survivors of violence in need of housing that is based on the well-being framework.